In cities all around the country, traffic cameras are doing the work of police officers. Now, not only can you get a ticket from an officer on duty, but you can also receive a traffic ticket in the mail for running a red light. Traffic cameras are typically mounted at busy intersections to take photos of cars as they pass through. In the amount of time it takes to blink, you can be caught on camera running a red light, and with information from your license plate, you could receive in your very own mailbox, a ticket with a hefty fine attached. Are these cameras actually keeping the roadways safe, or entrapping innocent drivers? How does a red-light camera work? In most cases, the automatic cameras are activated when motion is detected in the intersection after the traffic signal has turned red. The cameras then capture photos of the vehicle in motion. These images show where the car was when the light turned red, and also show the car in the middle of the intersection with a red light overhead, thus warranting a ticket. By studying the images closely, data is gathered from the license plate so officials know to whom the car is registered, as well as the date, time and duration of the yellow and red lights. But, are these images accurate every single time? What happens if the camera is not functioning properly? Couldn’t you be ticketed unfairly? Cities all over the country are struggling with this question. In Florida, for example, 70 cities have installed red-light cameras and each community is dealing with these controversial questions. Do red-light cameras encourage speeding? In some cities, research discovered that the presence of red-light cameras at intersections was actually causing more drivers to speed. What happens is that a driver is aware there is a camera, so he or she speeds through the intersection when the light turns yellow, in order to avoid getting a ticket. If the light is still yellow when the car passes through, the camera doesn’t catch you. Couldn’t this possibly cause more traffic problems and safety issues at already busy intersections? Frustrated Floridians battling this issue have sought the services of a Orlando traffic lawyer who can make their voices heard in court. If the camera isn’t working properly, will innocent drivers receive tickets? It would seem that innocent drivers caught on camera at the end of the yellow light, or as a result of a malfunctioning camera, would potentially receive tickets in error. This causes a whole slew of problems for the local traffic court, as they have to spend time, energy, and taxpayers’ money to determine if each ticket issued is really valid. When deciding what to do about any type of traffic violation, from running red lights, to speeding, to driving under the influence of alcohol or drugs, safety should always be the first priority. If cities determine that red-light cameras meant to enforce safety are instead causing unsafe and unnecessary circumstances, such as speeding and erroneous tickets, perhaps they should reevaluate the system and go back to the “old fashioned” way of actually having a policeman on duty where he or she is most needed. 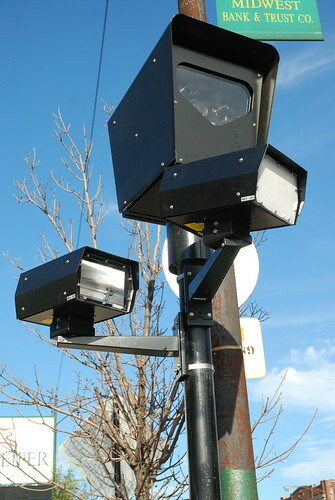 LaGeris Underwood Bell hopes this article sheds some light on the controversial issue of red-light camera tickets and their impact on traffic safety. 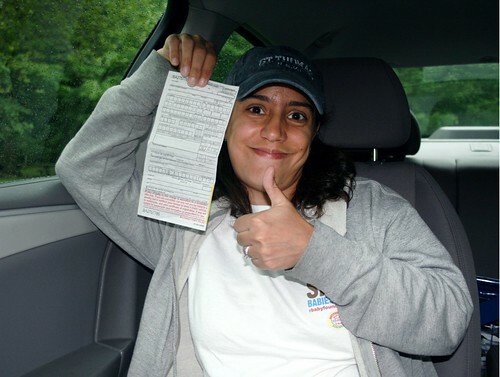 To readers in Florida she encourages angry drivers who receive such a citation to secure the services of a Orlando traffic lawyer to help clear their record.